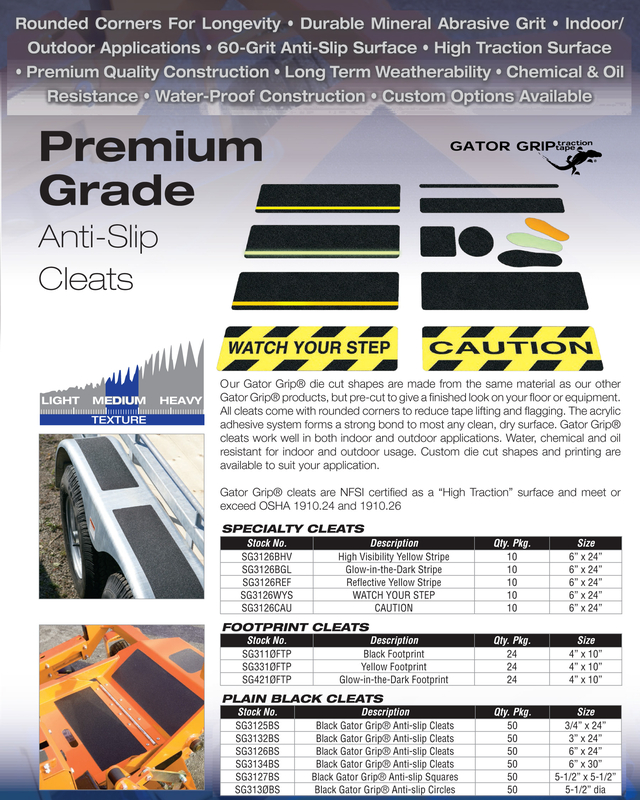 Our 6" x 24" and 30" Non Skid Traction Cleats help ensure an OSHA compliant workplace. Our traction cleats are sold in packs of 50 cleats. Our Glow in the Dark Stripe cleats have a strip that glows when the lights suddenly go out for about 1 hour fairly bright and up to 6 hours more dimly.